The internet is loaded with content. In fact, there are now more than a billion active sites on the internet today – all of which are creating new content and flooding the internet. This is a guest contribution by Zac Johnson. With so much content already out there, it’s important to understand what is really working (and what isn’t) in reference to creating content and getting more traffic and customers to your brand. Content is always going to be important, but what’s even more important is content promotion. We all know that anyone can create a website or blog, and creating content for such sites is also pretty simple. At the end of the day, if you want to increase traffic and revenue to your blog or online business, you need to have a business model, a form of monetization, and a content marketing plan in place. That is exactly what I will be outlining for you in the five methods below. I’m currently using each of these methods for my own sites, and continually reach more than 100,000 new site visitors every single month. Implement these working methods into your content creation and marketing efforts, and get ready to see better results and ROI than ever before. Obviously, if you want to create content that is going to work for you 24/7, and also be of value to your audience and worth the time you are putting in to create it – you need to make sure it’s quality stuff and actually “works” for you. By this, we simply mean having a simple formula and template to follow when pre-planning, writing, and launching your content. What is my content focus and why am I writing it? Who is my target audience and how can I reach them? Who are my competitors ranking in Google for relevant terms? How can I make sure my content is the best resource out there? What is the underlying call-to-action that my audience should take? Once you have a solid answer to all of these questions, you can then create the best content possible, while also referring to it for months and years to come – thus further making it an authority piece of content, that continues to rank higher in Google for many different keywords. If you are just getting started with the content creation and site ranking process, be sure to follow this 13-point SEO resource guide. Recommended tips include how to best use the Yoast SEO plugin, using snippets, content formatting, and more. Two key takeaways to also consider here. First, it’s best to make sure your written content is at least 2,000 words of text. Second, try to write content on evergreen topics that will continually be searched for and of value for years to come. Depending on the type of content you create, and the niche focus of your site and call-to-actions, one of the best ways to turn your written content into much more is to produce a live (or automated) webinar. This is especially true for any website or brand that has a product or service they can sell directly. For example, on a great majority of my websites and blogs, I talk about the importance of how to start a blog and using the WordPress platform. I continually use live and automated webinars to allow my audience to actually engage and follow along with me in a 1-on-1 session. With so many published articles and blog posts on blogging, I can also add call to actions within these posts to attend my next upcoming webinar. This is all quite easy to accomplish with some of today’s top webinar solutions. 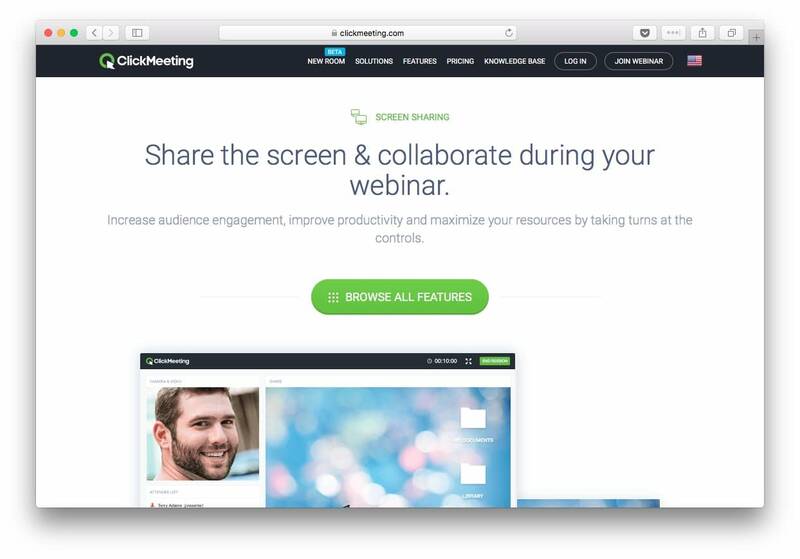 For example, when running a recent webinar, I used a screen share feature that allowed me to switch back and forth between my presentation and my co-host during Q&A sessions. This makes the webinar attendee experience a whole lot better, and more personal in the process. What’s also great about using advanced webinar platforms is that they have other cool features like whiteboard sessions, user engagement reports, and the ability to provide clickable call-to-actions through the webinar. Tools and features like these are ideal for when students or webinar attendees need to sign up for a new offer, hosting account, or simply for them to view an example website or resource. When running any type of webinar, be sure to keep the content engaging and useful. 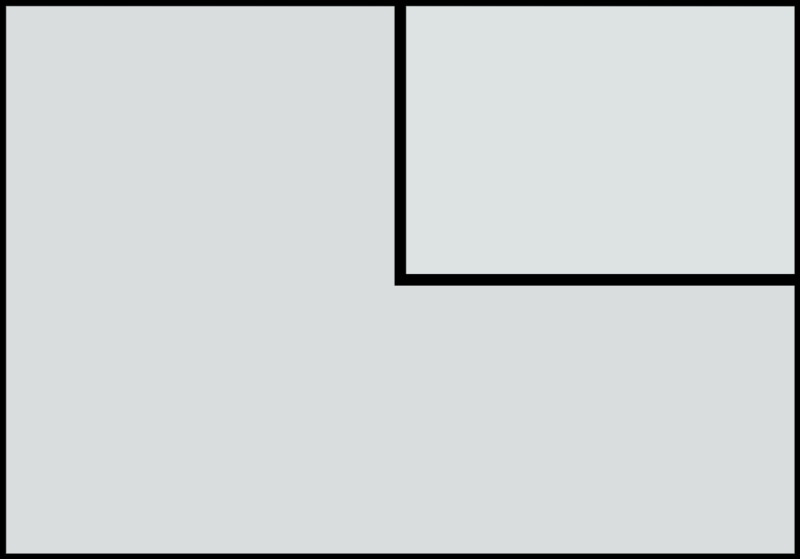 The worst thing to experience during a live webinar is seeing users leave the room. Keep them active, visual, and engaging at all times, while also not being salesy or promotional. As you can imagine, having call-to-actions within your written content is ideal for both monetization and long term engagement. Since each of your published articles is likely to attract new audiences daily, it will be important to have CTAs in place. A perfect example of this would be if you were to run a weekly/monthly webinar, and had a sign up form or link to a landing page within each of your articles. However, webinars definitely aren’t the only way to use CTAs and monetization within an article. Thanks to the power and usability of WordPress, it’s quite easy for someone to use the built-in ‘widget’ features to create a call to action of their own. To make this process even easier, one could use a unique plugin like Elementor’s new Call to Action widget that allows site owners to create interactive boxes that upgrade your website from average to exceptional – all without ever needing to touch a line of code. Here’s ThemeIsle’s review of Elementor. Other working methods include content lockers, which require users to submit their email or share the article on social media, and then they can view the full article or download a special bonus. Other useful and effective call-to-actions can be for a mailing list subscription form, signing up to an affiliate offer, or giving away a free trial to an in-house or third-party offer. No matter what you are looking to promote within your articles, it’s important to make sure your call to actions are relevant. Without the relevancy and value in place, it will just seem out of place and likely cause more of a distraction than anything else. The sad truth is that more than 70% of the people that come to your website or blog for the first time, will never come back. With such a massive amount of visitors leaving after their first visit, there must be a better way to increase repeat traffic. The answer is to have mailing list. However, having a simple newsletter and mailing list isn’t enough. Even just from the perspective of adding a call to action that says “Join our mailing list”, it’s not enough to make someone subscribe. Instead, your brand needs to offer something of value, such as a coupon or downloadable PDF cheat sheet. 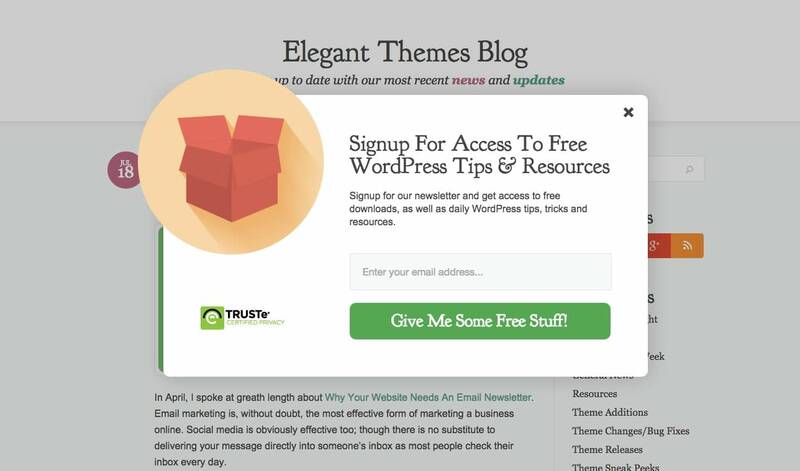 In this scenario, it would also be ideal to take advantage of exit intent popup subscription forms. Depending on the niche focus of your site and what your audience expects on their visit, your call to action or incentivization may vary. While the most important part of this process is to get someone to subscribe to your mailing list, it’s just as important to make sure it’s effective over the lifetime of your subscriber being on your list. For this to work, it’s advised to set up a great autoresponder over several months, if not more than a year. 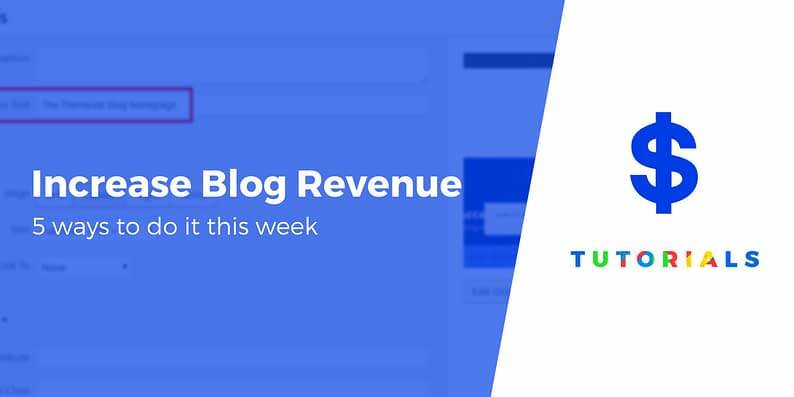 Each of these weekly or bi-monthly mailings can highlight the best content on your site, thus returning visitors back to it time and time again. With the focus of getting more repeat traffic and conversions out of your site and advertising efforts, it would be a big mistake to not take advantage of remarketing. Remarketing is the process of delivering online advertisements to audiences that might have left your site without taking action or even showing ads to subscribers on your mailing list. Thanks to the power of advertising platforms like Google Adwords and Facebook Ads, setting up remarketing ads is easy and effective. You can follow this step by step guide for guidance on how to place the Facebook Ads pixel on your WordPress site. It really is as simple as that. The most important thing to focus your efforts on here is having a call to action in place that makes sense, while also having a way to monetize the process. Running a business on the internet is quite exciting. Not only does it allow for anyone to work from literally anywhere, it also limits the amount of upfront costs to get up and running. The get the most out of your content focused business or brand, be sure to follow each of the recommended methods above and start implementing them immediately. Each of these steps will prove useful in the overall success and growth of your brand. just by following simple tips. About the author: Zac Johnson is an entrepreneur with more than 20 years of internet marketing and branding experience. Discover how to create a successful online business and brand through his blog at ZacJohnson.com. ThemeIsle Editorial is a team of writers and WordPress experts led by Karol K.
Looking for WP hosting advice? We’re a crew of WordPress professionals sharing our map to WordPress success with brilliant tutorials and tips.